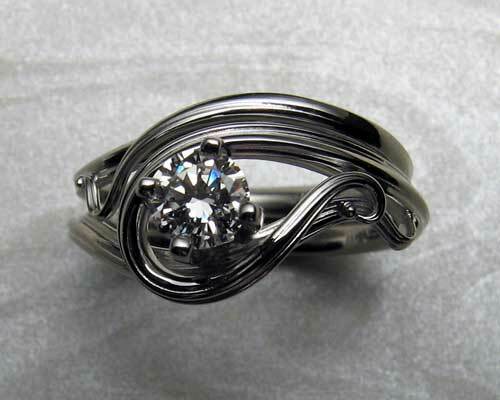 Fluid, freeform, blue sapphire engagement ring. 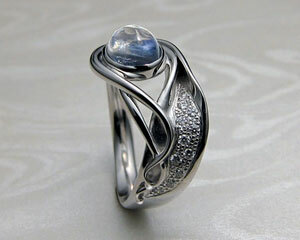 Beautiful blue sapphire nestled in fluid organic freeform engagement ring. Handcrafted in 14k white gold. Stone set in 4-prong setting. 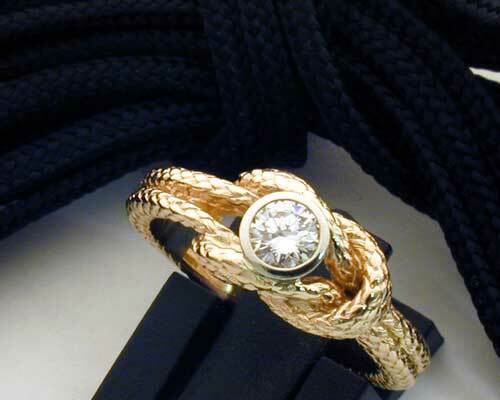 Engagement ring with bezel option. "For custom work based on my free-form collection customers usually start by picking out their favorites, and then describe what it is that they like (and don't like) about these. 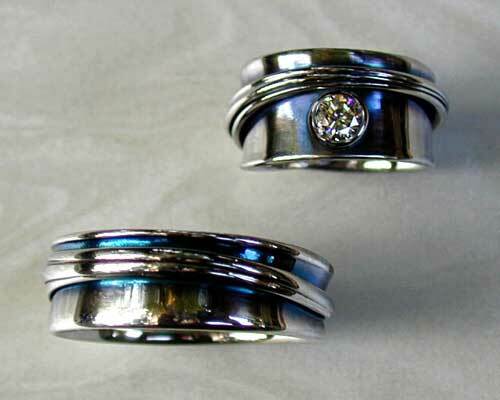 As an example, would they prefer bezels or prong settings, with pavé set stones or without, do they like the drawn out tails that I create, would they like more or less of them and do they like the little spheres on the ends or would they prefer these lines just blend and disappear into the surrounding material. To create a similar look we could work with a stone size of1/4ct to 1 1/4ct, and I can also work in either yellow or rose gold.